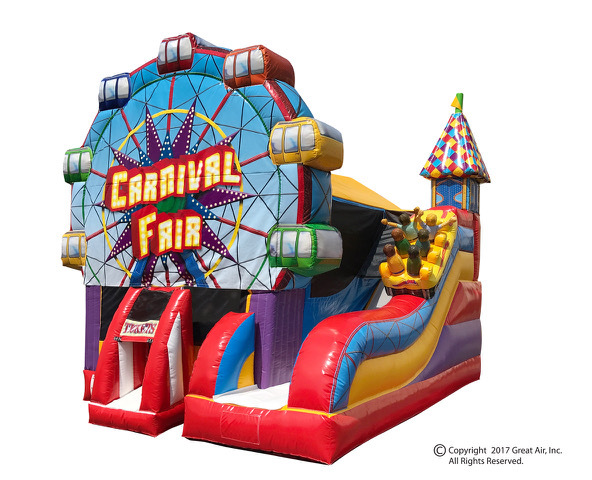 All the fun of a carnival inside a bright and colorful combo. 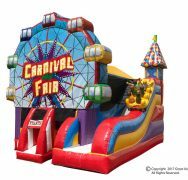 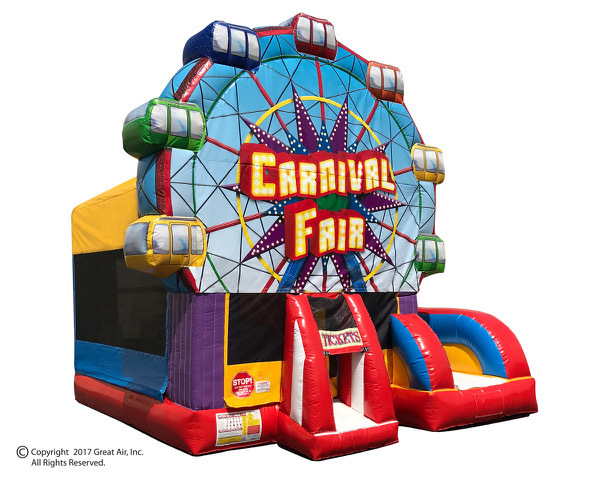 The Carnival Combo features a huge moonwalk area, a crawl-through, a climbing obstacle, exterior slide, an interior and exterior basketball hoop, and a game mat sewn onto the bouncer surface! 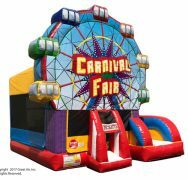 Dimensions: 19ft L x 18ft W x 17ft H. Accommodates up to 6 at a time.